Valentine’s Day: I love it and I hate it. I’m not the craftiest person in the world, but I do enjoy helping my kids make fun, creative, personal Valentine’s to give to all their friends. However, there are a couple of things I DON’T like about the holiday. For one thing, it’s starting to become just another one of those holidays designed to make busy moms feel bad, because they didn’t have time to take cute photos or make a fancy cake and matching table setting or arrange a Pinterest-worthy candy bag. And for another thing, it’s kind of weird how we have this one day per year when couples are supposed to be romantic and buy each other gifts and stare longingly into each other’s eyes while they eat chocolate together .. .even if they don’t give a single thought to any of those things on February 13 or February 15. I mean, being romantic on a day when it’s culturally required really doesn’t count as romance, does it? Not in my house. All of this is to say this: Despite being a holiday revolving around love, Valentine’s Day kind of makes me cynical. 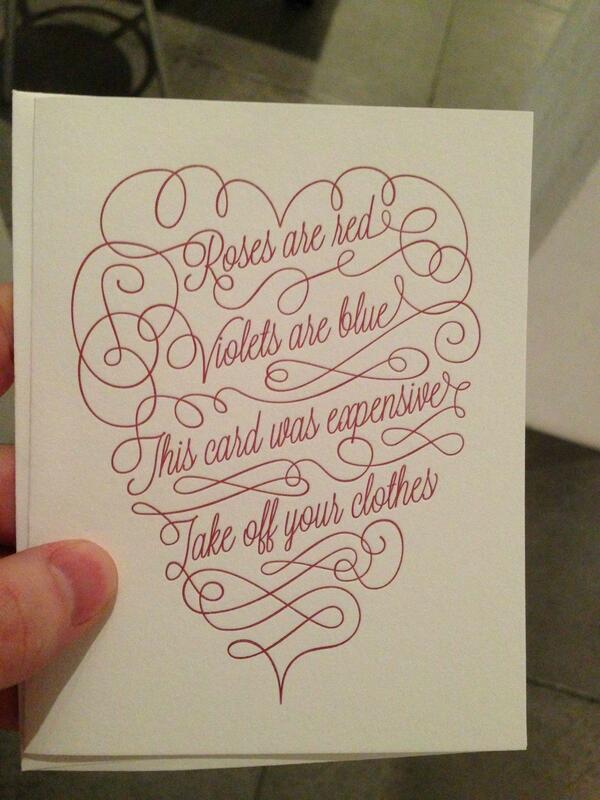 I find myself drawn to, um, less sentimental cards and Valentine’s wishes. Like these. 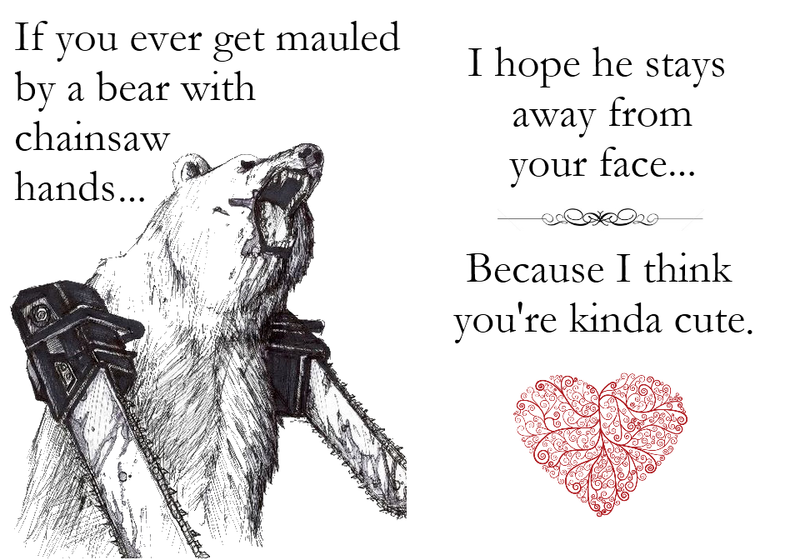 I can’t get enough of these Puritan love notes from CollegeHumor.